Concrete Chain Sawing with Fine Cut gets the job done profesionally. 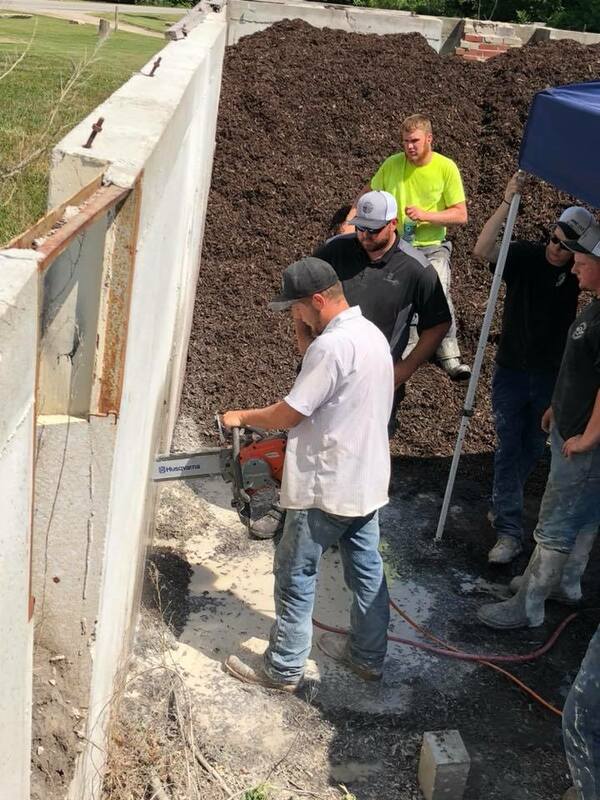 When it comes to Concrete Chain Sawing, Fine Cut’s team of operators are trained to cut masonry and concrete structures without over cuts with hand-held concrete chain saws. With the use of concrete chain saws, they are able to make plunge-cuts for creating joints, windows and doorways, cut floor slabs, walls, retaining walls, concrete roof decks and demolition cutting with chain saws. Concrete Chain Sawing requires the use of a specialty saw for cutting into concrete, pipe and so much more. A concrete chain saw contains diamond grit to give it the strength and durability required to cut tough surfaces. Although Fine Cut may specialize in Concrete Chain Sawing, they’re able to chain saw through cinder block, structural concrete, stone, brick and asphalt as well. innovation that created a solution for many concrete cutting challenges. One of the biggest problems it solved was time reduction by introducing a portable saw that was able to cut through concrete up to 14 inches thick from one side, saving lots of time in the process. Today, gas powered concrete chainsaws are able to plunge cut up to 16 inches and the current hydraulic and pneumatic powered concrete chainsaws are able to cut through as much as 25 inches of solid concrete, natural stone, masonry, and even ductile pipe with the correct chain. Some popular applications for a Concrete Chain Sawing are egress windows in basements, new door and window openings, duct work openings, concrete storm drain taps, and landscape and hardscape jobs. All cuts can be made in solid concrete, natural stone, synthetic rock, brick, masonry, and other similar material. For more information about Concrete Chain Sawing and the other services Fine Cut offers, visit https://www.finecutusa.com/contact/ or call (816) 540-5787.